undeadneg.com Andrew Overtoom Photography - Undead Neg - The Undead Neg by ..
precisiondigitalnegati.. Welcome to the Precision Digital Negatives Home! Six Apart Ltd California is the location of the Apache server. 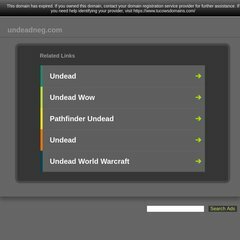 Undeadneg.com's server IP number is 204.9.177.195. Its 2 nameservers are ns1.aplus.net, and ns2.aplus.net. PING undeadneg.typepad.com (204.9.177.195) 56(84) bytes of data.